It’s that time of year when preserving the fruits of summer is a wonderful way to keep on enjoying them during the cold days of autumn and winter. I found myself with some very ripe bananas and instead of making banana bread I wanted to use them in a different way. 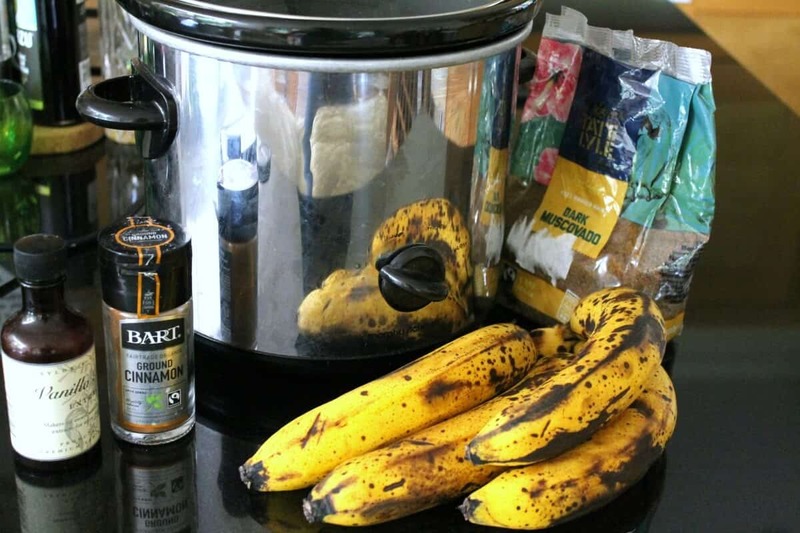 Time for some slow cooker banana butter! What on earth is banana butter I hear you ask! 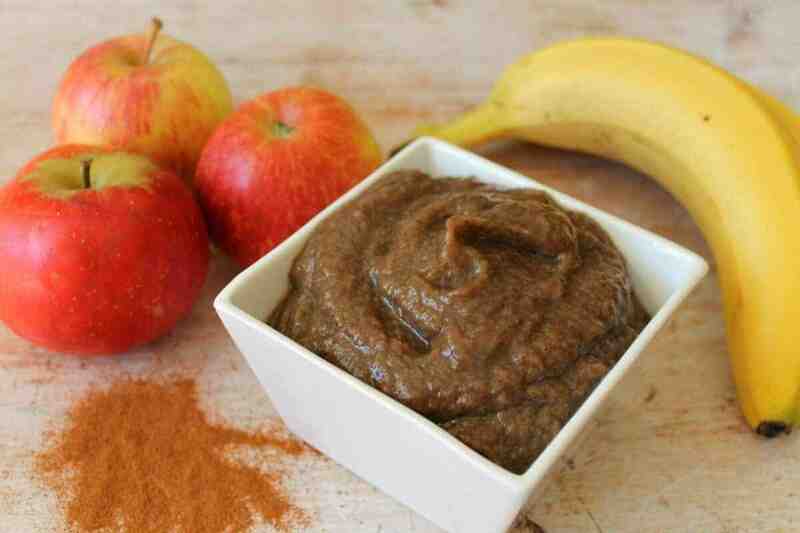 You might have heard of apple butter if not banana butter. It isn’t made with actual butter but is more like a rich fruit sauce made by cooking fruit with sugar for a long time until the sugar caramelises, giving it that rich brown colour. Butter refers to the smooth texture of the resulting preserve, it is thick, smooth and very fruity. Apple butter is a popular recipe in the US, you cook down your apples over a long period to make this delicious fruit preserve. 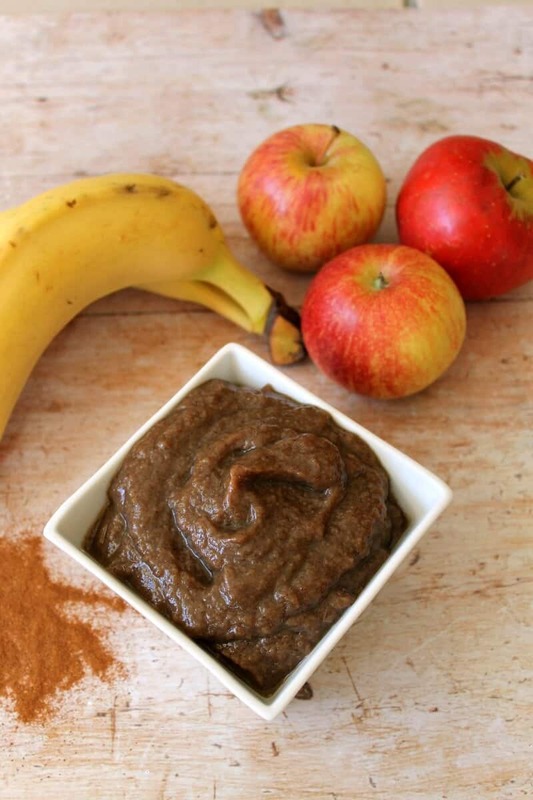 Using the slow cooker to make your apple or banana butter is ideal for the long cooking time, as it is easier to leave it to cook without the risk of burning. What To Use Banana Butter For? Fruit butter can be spread on bread or toast, used to fill cakes, added to yoghurt, used to add flavour to overnight oats or porridge, there are so many ways to use it. Use it in place of jam or fruit curd or wherever you want to add banana! 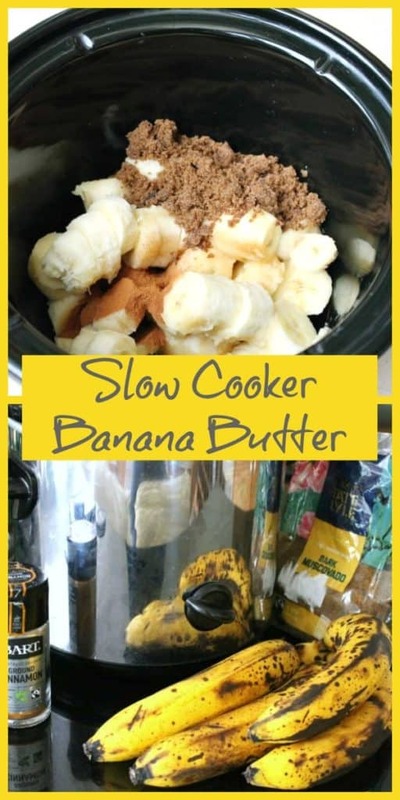 My slow cooker banana butter is very easy to make, and will last in the fridge for about a week or I also like to freeze it in small portions so I can take out individual pots to use whenever I like. 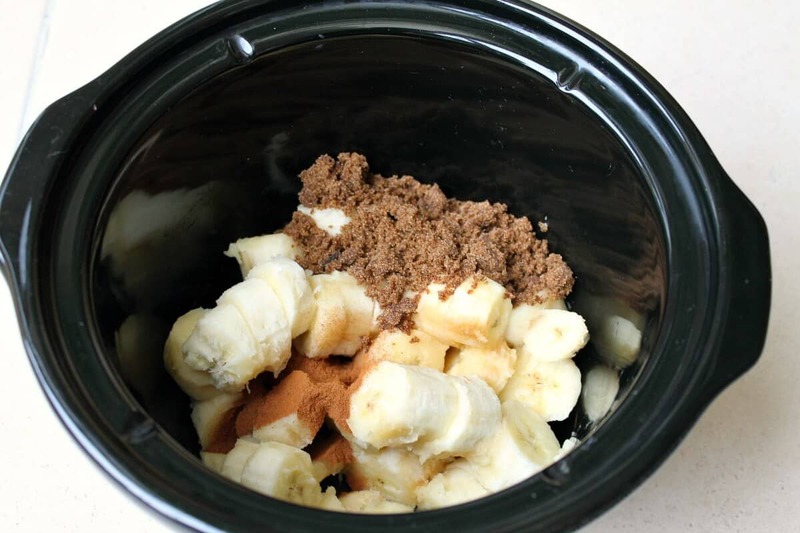 Spiced with cinnamon and vanilla, the scent of banana bread fills the house as you make the slow cooker banana butter. But you won’t be disappointed that you haven’t made banana bread because banana butter is just as tasty! 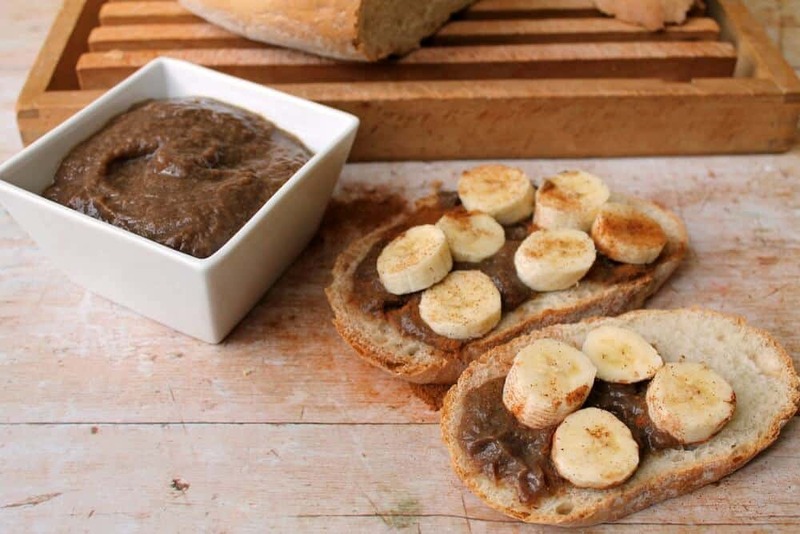 Spread banana butter thickly on fresh bread or toast, top with sliced bananas and a sprinkle of cinnamon and you have a delicious breakfast or snack. Or bake a banana cake, cut in half, spread banana butter in the centre then stack for a sweet banana treat. Or swirl it through banana bread for extra banana-ness! Or perhaps a banoffee pavlova! Bake large meringues, spread layers of banana butter, caramel and fresh cream top with sliced bananas. The possibilities are endless. How will you use yours? However you use it, if you like bananas, you are bound to love banana butter. 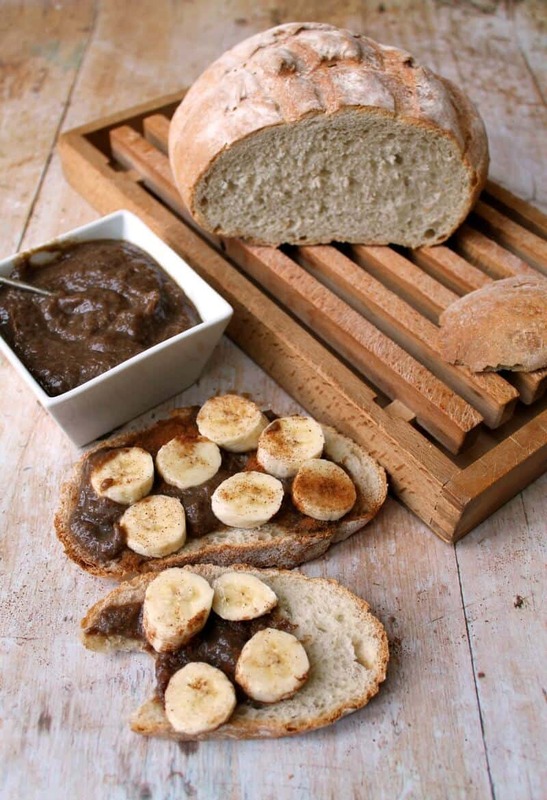 If you can’t be bothered with the hassle of making jam, banana butter could be the answer. Make a batch in your slow cooker today, it is so easy. All you need is a few ingredients and a slow cooker. Put it all in the slow cooker, and let the crockpot work its magic. Return a few hours later, blend for a smooth texture, and you’re done! It is so simple. For more slow cooker recipes, both main dishes and plenty of desserts, make sure you look in my Recipe Index. Subscribe here to get my next recipe in your inbox. Slice the bananas and place them in the slow cooker pot. Add the other ingredients and cook on low for 4 hours. Store in the fridge in a covered pot or freeze in individual portions. I am not sure why the sugar is 75 g, and the other measurements are oz. will figure it out somehow. never heard if banana butter, so going to try, but also never heard of muscovado sugar! Will improvise and let you know. Banana butter? Never heard of it but sounds delicious! Ah, I’ve heard of apple butter too before but banana butter is a new one! Bet it tastes great with peanut butter. Ooh that is a great idea! Brilliant idea – I often buy too many bananas and don’t know what to do with them when they are a bit too ripe. I have heard of apple butter but as you say never banana butter. I bet it was sweet and lovely! !